Amateur Bodybuilder Of The Week: Justin Trains Heavy To Get Huge! Justin is the first person to arrive at the gym and the last person to leave. His dedication to bodybuilding is unquestionable. See how he maintains heavy intensity! I started doing 200 push-ups and sit-ups per night at age 12 like it was my job. In eighth grade, I broke my tibia and stretched my ACL playing football. I had two surgeries to repair the damage and felt my body get weaker as the days passed in a full-leg cast. Then the mom of my best friend brought me a fitness magazine as a get-well gift. From that moment, I decided to push my body to the max. At age 14, I got into lifting for baseball and basketball. My best friend&apos;s dad John Petraglia was an avid weightlifter who had weights in his basement, so I went there to work out. After a few months, my friend lost interest, but I continued to work out every day. I continued lifting in high school and stayed after class with the football team so I had people to lift with. I was always the first one in the gym and the last one to leave. I quit playing basketball and still ran track but the track coaches didn&apos;t like me lifting. By my senior year of high school, I made up my mind to be a full-time bodybuilder and left high school sports completely. "I was always the first one in the gym and the last one to leave." "I think of how blessed I am to be capable of whatever I put my mind and body to." Bodybuilding took over my life in college, but I couldn&apos;t compete because my education came first. I worked to maintain leanness and continued to add quality size. I went from 170 pounds as a college freshman to 190 pounds at graduation in December 2012. Now that I have my education, I&apos;m driven to do what I&apos;m passionate about and go for my pro card. 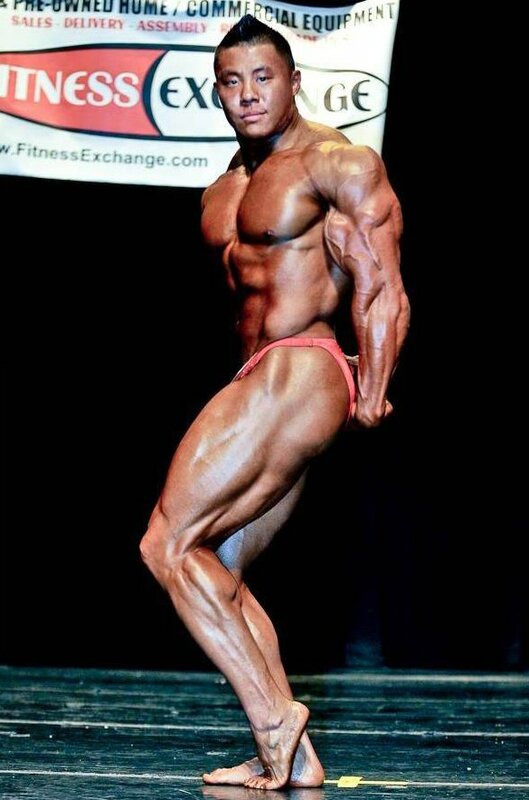 I was determined to bring my A game to the stage and teamed up with contest prep coach Justin Kocher. Justin was there for me every step of the way and helped me set up my macros. Team doctor Jerry Wheeler helped immensely with my posing and was a great supporter. My workout partner Jason Anticoli pushed me through some of my hardest weeks of prep, kept me focused, and always provided me with support. My passion wouldn&apos;t have continued this long without a few special people who gave me support and believed in me. Those people are Mike Chetcuti, Chris Wildman, Tony Kneule, Alexandra Sharpe, Musclisious Foods, Chris Caputo, The Worck (Josh Halladay), Jennie Castro (cardio partner), and all of my gym family. Haters and nonbelievers push me to be better every day. Phil Heath and Flex Lewis are my inspiration because they&apos;re at the top of the game. I think of those with disabilities who don&apos;t have a choice in some circumstances about what they can or cannot do on a daily basis. I think of how blessed I am to be capable of whatever I put my mind and body to. I will take the rest of the year off to focus on making necessary improvements to bring a bigger and better package to the 2014 stage. This is just the beginning. Let haters and nonbelievers fuel your motivation. Stay focused, committed, and hungry. It&apos;s 100 percent training and dieting. Jon Delarosa and Stan McQuay are down-to-earth guys who always take time to talk to me as a person. They&apos;re very humble. I can tell they enjoy having conversations with fans and aren&apos;t just going through the motions. They never forget where they came from. As a beginner in the sport, I spent countless hours on Bodybuilding.com reading articles and exercise ideas. Everything you need to know about fitness is at the click or tap of a button.